During this week’s period of exclusive negotiating rights for teams with players entering free agency, those teams and players also make decisions regarding options for the 2013 season. Over the last two days, a number of those options decisions have been made, and have resulted in some additional free agents who may or may not interest (or impact the market for) the Cubs. 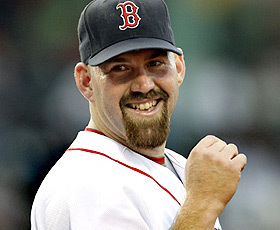 Kevin Youkilis – The White Sox declined his $13 million option for next year, which was generally expected. The 33-year-old third baseman hit just .235/.336/.409 on the year, which he split between the Red and White Sox. He was better in white, putting up a 106 OPS+. He’s getting older, but he could easily bounce-back next year, thanks in large part to a positive regression in his BABIP – it was just .268 last year, far lower than his career .322 mark. The Cubs obviously have a cavernous hole at third base, and Youkilis is the top third baseman on the free agent market. 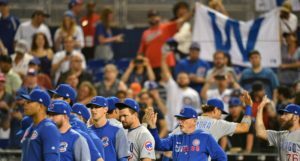 The Cubs will kick the tires, without a doubt. But there are some hurdles: (1) as the top free agent at third base, a number of teams will be kicking those tires – competition drives up the price, and the number of years committed; (2) Youkilis will be 34 next year, and isn’t going to want to spend too many more years on a non-contender; (3) Youkilis would know that the Cubs would be viewing him as a bridge to the future, so his replacement could always be lurking over his shoulder (depending on, for example, how quickly Javier Baez develops, or whether Josh Vitters, Junior Lake, or Christian Villanueva steps up next year). That all said, Youk did mention how he noticed that Chicago is clearly a Cubs town, even when the White Sox are winning, and the Cubs are losing. Maybe he’d like to be a part of that? 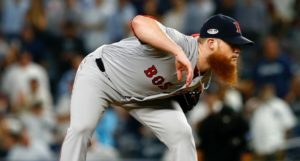 And, obviously, there’s the Boston connection – Youkilis was a prized player in Boston under the Theo Epstein regime – which almost goes without saying. Mark Reynolds – Another third baseman, Reynolds could hit the free agent market after the Orioles declined his $11 million option. I say “could” hit the free agent market because he’s not yet a free agent. Despite the option decline, Reynolds is still under team control, and is in his third arbitration year. He’s projected to get around $9 million in arbitration, so he’s a pretty clear non-tender candidate for the O’s. If he’s non-tendered on November 30, he’ll become a free agent. Perennially a 105ish OPS+ guy who leads the league in strikeouts, Reynolds has a ton of power and takes a ton of walks. 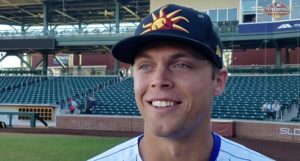 The biggest question mark with the 29-year-old, at least as far as the Cubs go, is whether he can play credible third base. He was moved to first base by the O’s for most of 2012, and his UZR at third base has always been well below average (including hilariously bad UZR/150 marks of -30.3 in 2011 and -48.3 in 2012). Defensive metrics aren’t everything, but it seems pretty clear that third base is probably not in his future. And that means he’s not in the Cubs’ future. Joakim Soria – The Royals declined their $8 million option on the dominant reliever who missed 2012 after undergoing Tommy John surgery. He was only so-so in 2011, though you wonder how much of that was related to an elbow issue later resolved by the surgery. He may well end up returning to Kansas City, and his value as a free agent is hard to peg, given the surgery. Unless he’s going to be viewed as a “flyer” type by teams, the Cubs aren’t going to be bidding heavy on any relievers, particularly one coming off surgery. 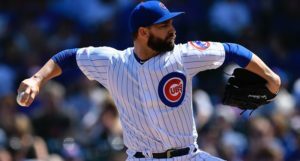 That doesn’t mean his free agency isn’t relevant, though – as the Cubs shop Carlos Marmol, Soria’s (and guys like him) presence on the market will impact those shopping efforts. Further, Soria might indeed be viewed as a “flyer” type (by which I mean a guy who gets, for example, a one-year, low dollar (with incentives) deal with an option for another year), with no teams willing to commit serious dollars or years. If so, he would definitely be the kind of pitcher the Cubs would target, for obvious reasons. Scott Feldman – The Rangers turned Feldman loose after a mediocre year as a mostly-starter. He looked like he was on his way to a successful career in the middle-to-back of a rotation when he had to have microfracture surgery in his knee before the 2011 season. His 2012 season saw him put up a 5.09 ERA over 123.2 innings … HOWEVA, he had a 3.81 FIP, a .318 BABIP (20 points higher than his career average), and a 3.00 K/BB ratio. That’s a very attractive looking middle-tier, bounce-back candidate starter right there. He turns 30 in February.